Real people who aren’t running for office do not write like this. They do not think like this. They do not try to string together feel-good words in decisive ways that pretend at taking bold stands on the future without actually taking any stand. There are no clear-thinking Americans who do not want “inclusive politics” or “common purpose.” There is no one in public or private life in this country who does not want to “unleash the creativity, potential and opportunity” of the nation. So why write it? Because it is campaign mumbo-jumbo, and campaign mumbo-jumbo works if you want to win elections. 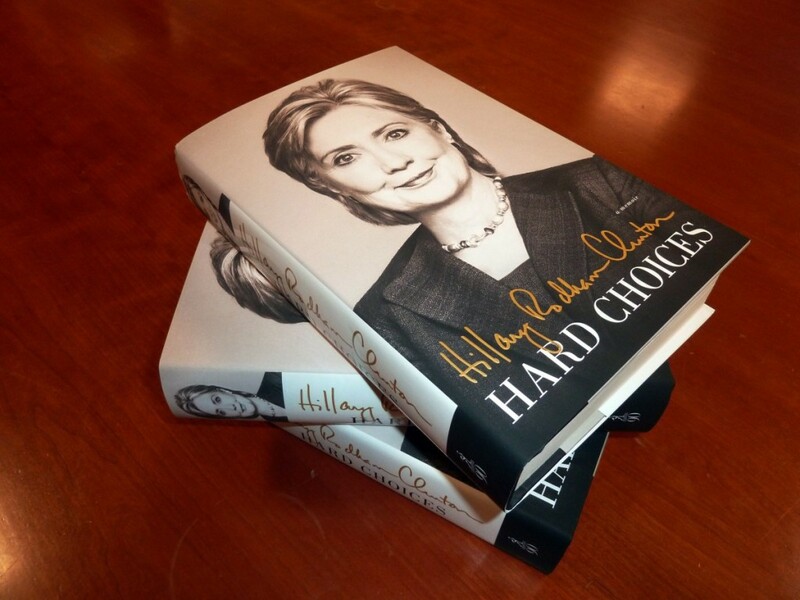 The former first lady, U.S. senator and secretary of state had some help on her new memoir, “Hard Choices.” Clinton employed a phalanx of aides and associates in producing the volume, which is being released Tuesday. But don’t expect to hear much about Clinton’s “book team,” as she calls those who helped her write the book, which carries her name alone on its cover. Clinton’s acknowledgment of her three-man team — Dan Schwerin, a former Senate and State Department aide to Clinton; Ethan Gelber, another State Department aide; and Ted Widmer, a Clinton adviser and Brown University historian — appears in just a few sentences on Page 597 of the 635-page book. Their exact contributions, however, aren’t spelled out. Such is the lot of the ghostwriter. Actually, many ghostwriters get even less credit. The ghost behind Clinton’s 1996 bestseller, “It Takes a Village,” wasn’t credited at all. That prompted complaints from Barbara Feinman Todd, a Georgetown University lecturer and writer who reportedly labored for seven months on the book (she declined to comment). Given how frequently politicians use ghostwriters to churn out their hagiographic campaign books, Feinman’s complaint implicitly raised a question: Is it ethical to pass off the work of someone else as your own? Ghostwriters have been channeling the thoughts of politicians, business executives, celebrities and just plain folk with little or no credit since the days of Cyrano de Bergerac, the 17th-century dramatist who, as a fictionalized character in Edmond Rostand’s 1897 play, anonymously wrote poetry to help another woo his beloved Roxane. The practice has been controversial. In contrast, I write all my own blog posts with no ghost writers.